How To Grow Wallflowers From Seed. ‘Cloth of Gold’ has bold and scented flowers that will fill your garden with a bright sunshiny vibe from very early spring (mid March)…and the first bees on the spring scene will love you for planting them. The yellow of the blooms is a rich golden yellow…a real winner…looks fabulous with white Honesty or white Foxgloves…which can all be found flowering early in the season. *Wallflowers are biennials and as such will flower in their second year from sowing. *With this in mind some folk like to start them off in pots and plant them out later in the season and not waste valuable space in the cutting garden…others, with more space simply sow them directly where they wish them to grow and wait for next spring. I tend to do a little of both. *I find the best time to sow wallflower seeds is from late May and throughout June. *Sow your seeds about 3mm(ish) deep in good quality seed compost…or if you are sowing directly into the soil then I recommend sowing in straight drills…you can replant them later if you so wish. *Thin out your plants to about 6 inches between plants and make sure you plant out the ones you sowed into pots by mid August…and water them in well. *If you have grown them in pots…they don’t have to stay in the greenhouse…you can just pop them out of the way outside…this way they will get some juicy rainwater too. Many folk get put off sowing biennials because they take longer to flower than annuals…but don’t be part of this group, biennials will give you flowers MUCH earlier than annuals and they play a very important part in the productive flower garden. I sell the wonderful ‘Cloth of Gold’ Wallflowers at £1.95 for 500ish seeds. PS For another great biennial take a peak at ‘How To Grow Hesperis From Seed‘. Grow ‘Honesty’ From Seed. Grow Biennial, Sweet William, From Seed. So sad, I missed buying what few were around in bundles; however I will sow my own seeds next May. Where are the wonderful russet/reds, I love to have these to mix with the yellow/gold and with a sprinkle of forget-me-nots, heaven. How long does it take for wallflowers to germinate? a couple of weeks should be fine. 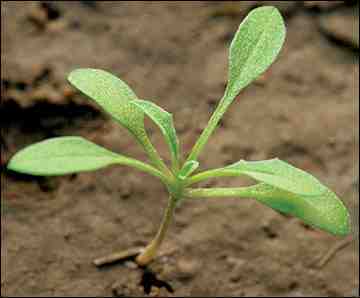 can I plant wallflower seeds in March and get germination? My question is virtually identical to Colins – I’ve got rows of wallflower seedlings in veg plot, getting rather overcrowded. What’s the best time to transplant them to their flower bed? Also, should I be adding lime to the flower bed? I planted wallflower seeds in April in a straight line in my veg plot, and they are now 20 cms high and strong. Can I now plant them directly where they are to flower, or do I have to wait until later in the Autumn. They are rather cramped up but does this matter? They are one of my favourites for Spring, fill a winter bed well, last several years with luck – and yes, the old traditional ones are the best. is it to late to plant wallflower seeds, i have been given mixed colour seeds. Or should i wait until next year.